Atticus and his crew are among the handful of survivors and being the messenger of this news to the Senta in Rome brings Atticus into political troubles, almost as stormy as the sea. He begins to feel not onlt that a greek will never be accepted by the Romans but also that the behaviour of many, noth politicians and soldiers, is such that he is not sure that he wants to be a Roman. 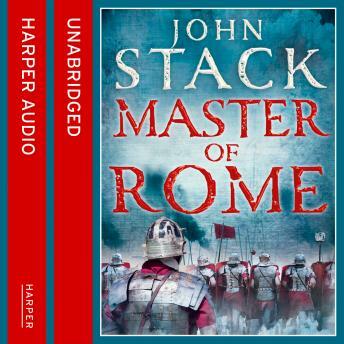 Full of dramatic battles by land and sea, led by tremendous characters on both sides, MASTER OF ROME is a powerful novel, the third in this bestselling series by a born storyteller.